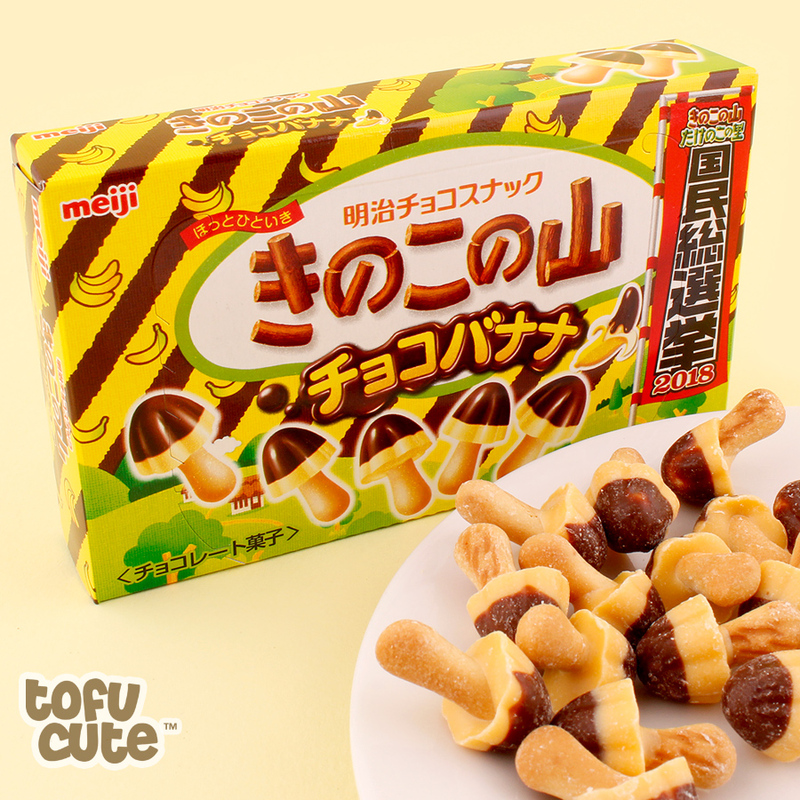 Meiji’s Kinoko no Yama (meaning "Mushroom of the Mountain") are delicious sweet snacks that are made to look like cute little mushrooms, with a double-layered chocolate "cap" and crunchy chocolate biscuit "stalk" - a very tasty combination! They come in an easy to open presentation box. 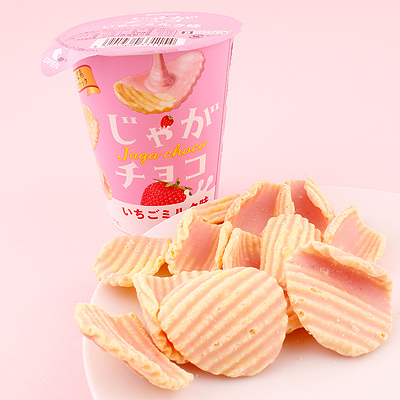 These delicious snacks would make a a wonderful gift, but you might not be able to resist keeping it for yourself! This is the brand new 'chocolate banana' flavour of Kinoko No Yama, which adds a unique spin on the snack's iconic formula with the awesome combination of banana and chocolate flavours - it tastes a lot like the iconic choco-banana flavour of Pocky!